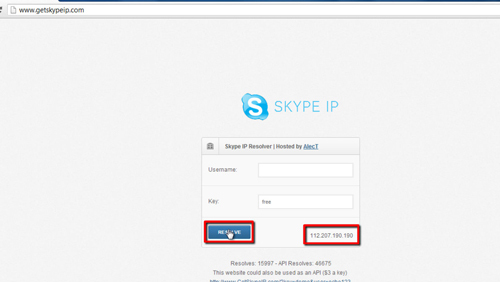 In this tutorial you are going to learn how to get skype ip address which is actually a very simple process. 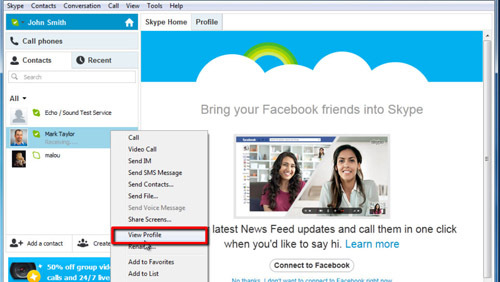 Open Skype and make sure you are logged into your account. From your list of contacts right click on the username of the person whose IP address you want to find. In the menu that appears click “View Profile”. This will bring up a window with their profile information. You will see their “Skype Name” in this window, unfortunately you cannot copy this text so open an internet browser window next to this window. Visit the website “www.getskypeip.com” and in the “Username” text box type their username. Ignore the “Key” box and click the “Resolve” button. In the bottom right of the frame you will see an IP address which belongs to the Skype contact you just searched for and that is how to get skype ip address. To get your own IP address simply search for your own username.